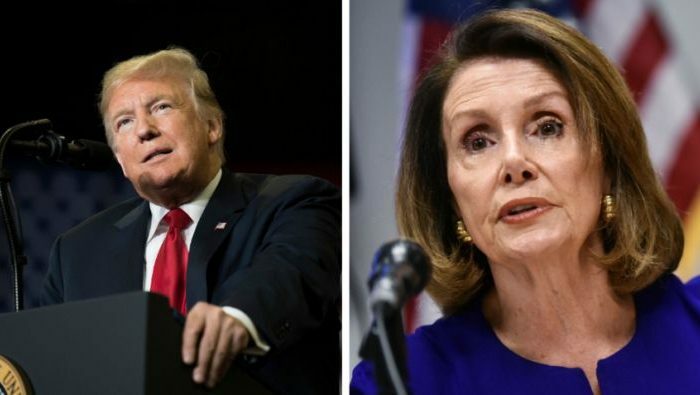 President Donald Trump responded to House Speaker Nancy Pelosi’s (D-Calif.) rejection of his border-wall proposal on Jan. 20, as he outlined the selling points of his new offer, while chiding Democratic leaders for dismissing him before he even gave his speech. In a string of early-morning tweets, Trump made clear that his latest offer doesn’t include amnesty for illegal immigrants already in the United States. On Jan. 19, Trump outlined his new offer, which would provide temporary protection from deportation to some 700,000 illegal immigrants, in exchange for $5.7 billion in border-wall funding. A number of additional measures, such as humanitarian funding, drug-detection technology, and extending protections for people who have fled wars and disasters, were included as well. In his response, Trump chastised Pelosi, saying she has lost her authority over the Democrats, as the shutdown reached its 30th day—the longest in U.S. history. The partial shutdown, which affects about a quarter of the federal government, began Dec. 22 after lawmakers failed to reach an agreement on funding for border security. 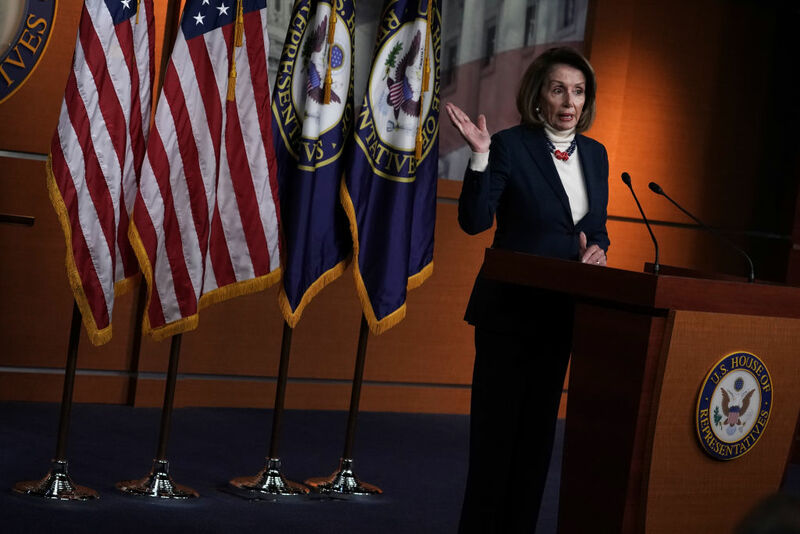 Trump has been the only side to offer a compromise so far, as Democrats refuse to budge from their initial $1.3 billion offer for border-security purposes, which doesn’t include funds for a border wall. Pelosi, on Twitter, shot back at Trump. Trump reminded Americans that they are already building parts of the wall. Currently, about 654 miles of barrier exists along the nearly 2,000-mile U.S.–Mexico border. Customs and Border Protection constructed around 31 miles of new and replacement fencing in 2018, with the final nine miles expected to be done early this year, according to the Department of Homeland Security. Meanwhile, Trump’s approval rating among Latinos shot up by 19 points, according to the latest NPR/PBS NewsHour/Marist poll. The poll, conducted from Jan. 10th to Jan. 13th, found that 50 percent of Latinos surveyed approved of the job Trump is doing. The same poll conducted in December showed the approval rating at 31 percent. Pollsters surveyed 1,023 adults by phone in the latest one. Trump said the survey’s findings reflect how important the wall is to Hispanics. A mid-October survey by the same pollsters last year found only 27 percent of approval among Latino voters. The recent surge coming in the midst of the partial shutdown indicates that Trump’s Latino base strongly support the construction of a border wall. Despite the double-digit surge in Latino approval, pollsters NPR and PBS failed to mention the number found in their own own poll. A search for the term “Latino poll” on the outlets’ website failed to yield any articles talking about the recent increase.